Reminder to you: Take photos of your friends! Journal about them! Put it all together in an album! Later you will be glad you took the time to do it. Seriously! Dare To Dream Paper by Marah Johnson / Creative Imaginations . I cannot rave enough about this paper. I LOVE it! To me, Marah Johnson really does epitomize the idea of a “Creative imagination”. Her work brings a whole new dimension to the scrapbooking industry, and I think her designs are outstanding. While not all of it is truly me (the skulls? Uh, no thanks) I really admire the way she puts each design together. I also have to say that her papers are the easiest papers I have ever used in layouts. They almost don’t need anything else added to them- you can pretty much just put your photo down on the page, add your journaling and you are finished. Gotta love that. I think this particular paper is a great fit for the photo because Jarried is a dreamer at heart plus he LOVES winged hearts. I am hoping he loves this!! American Crafts Slick Writer Medium Point Pen in Cinnamon Brown. Used inappropriately here, I know. It’s kinda overkill to use this marker on regular paper, but hey, when I am on a creative spree I usually grab the nearest pen at hand that’s remotely the right color for the effect I want. Love this pen- it works great on vellum and other slick surfaces that other pens don’t work well on. This entry was posted in Uncategorized on August 28, 2007 by Amy. Mike is talking about taking me back, and trust me I really want to go! But our friends don’t live there any more so it will NOT be the same! Hand Painting and Spin Art: by Amy Solovay. 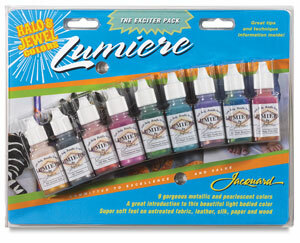 Luma Brilliant Concentrated Water Colors. Rubber Stamping: Stamps: Alphabet is Pixie Love Letters by PSX. Numbers are Typewriter Numbers Creative Characters by PSX. Inks: ColorBox Fluid Chalk in Wisteria; Rubber Stampede Acid Free Dye Based Ink. Chalking: Decorating Chalks by Craf-T Products. Punches: Whale of a Punch Tag Punch; Flower Hand punch by Fiskars. Dichroic Glass Charm: Original, handmade by an artisan who sells on ebay.com under the ID Dichrohaven. For anyone who might be interested, I wanted to let you know that I wrote an article about how to create a still life painting or drawing. This is a guide for beginning artists; if you went to art school or if you are already experienced at drawing and painting still life art, then this article probably won’t tell you anything you don’t already know. But if you have never made a still life then please check it out! This entry was posted in Uncategorized on August 17, 2007 by Amy.